I received the mentioned products from Rimmel London in exchange for an honest review. The thoughts contained within this post are mine and may vary from the opinions of others. 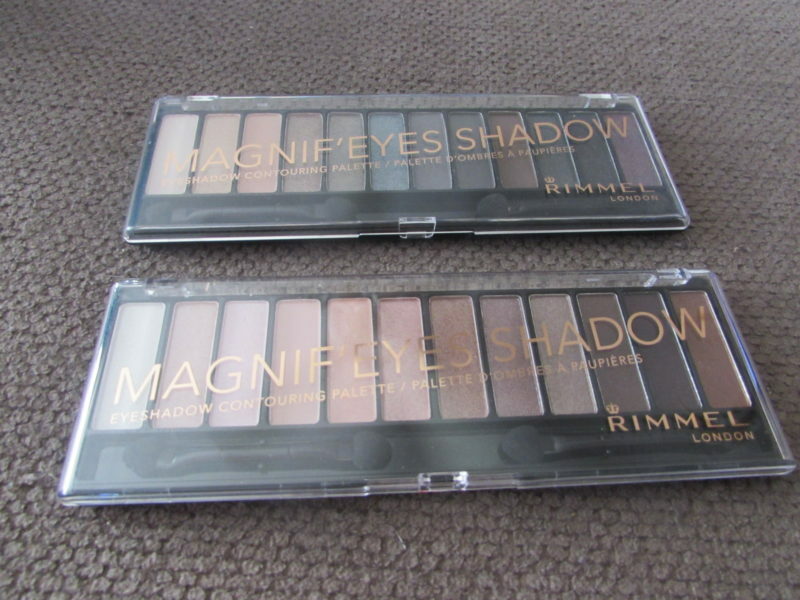 About a week ago I received these 2 eye shadow palettes and I was really impressed. I love that everything is included in 1 palette with no need to buy several sets to get the look that I want. Standing in front of the mirror in our bathroom I was totally prepared. I have the mom dark circles these days so the Match Protection Concealer was a must. I also used the Lasting Finish 25H Foundation. These pair together really well. The Magnif’Eyes Shadow Palette went on really smoothly. I loved the color choices of the London Nudes Calling and really like that I can achieve different looks using the same palettes. Instructions included on the back of each palette help everyone even the most experienced makeup artist to get really creative with these palettes as well. I was not very creative yesterday but used the 3 steps and was really happy with how this all turned out. Topping off the look was another Rimmel product in my collection; the 24HR Supercurler Mascara. I LOVE this product especially since mascara is my go-to makeup product. Another perk is that every product I have mentioned in this post is available at many major retailers. I get mine at CVS because it is the closest to our home. You can also buy them at Walmart, Target and Walgreens to name a few. « Even The Smallest Business Shouldn’t Neglect These Things!